E-mail me for more information on Drake radio repair & service, or refurbishing work. 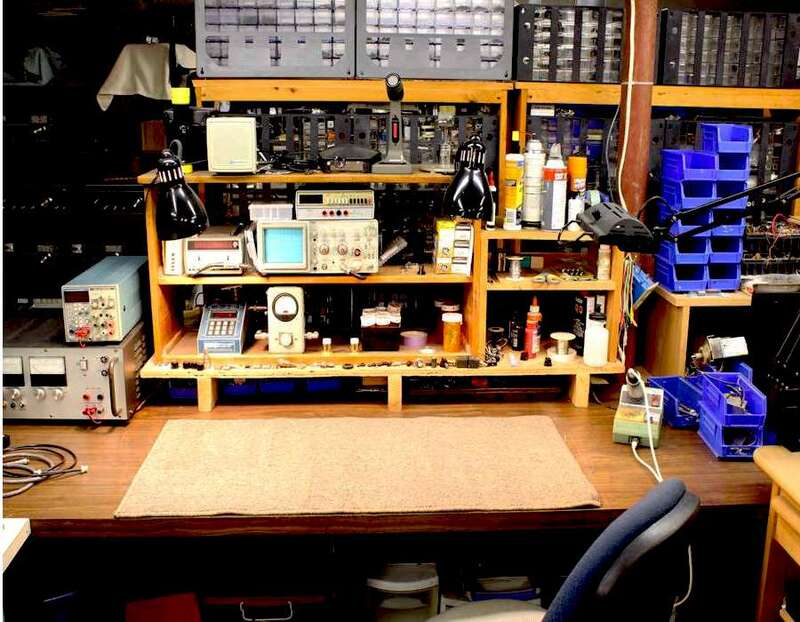 The shop has a fully equipped bench arranged in a "L" shape configuration. The test bench rig is the ICOM IC-765 with the modified Drake L4B single tube amplifier. This is the same amplifier that I wrote the article on earlier in 2011. 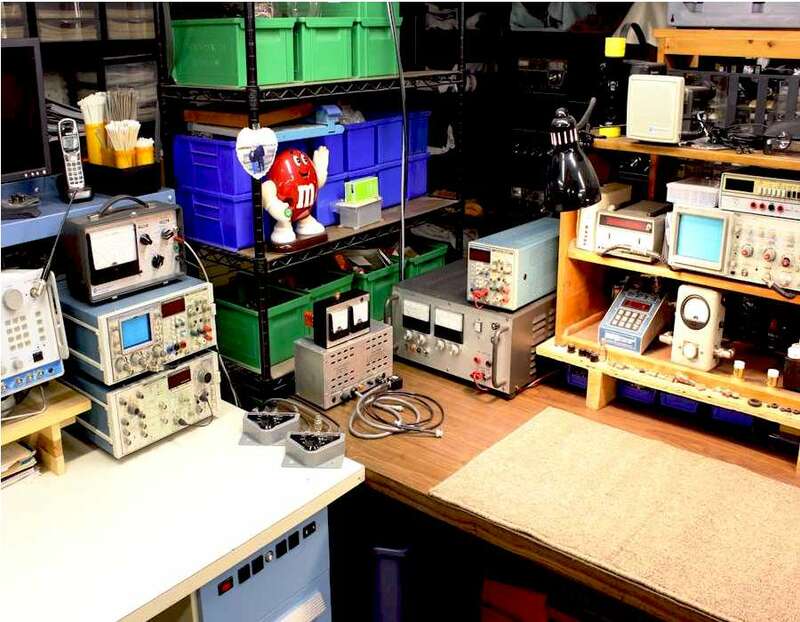 Most of the test equipment is Motorola, Tektronix, and Bird watt meter and analysis. The right side is the teat HF transceiver and amplifier and test equipment. The center console area is where you find the power supplies for the 4 Line, TR7 and the amplifier repair. The left side is where most of the repair and servicing work is performed. I offer a full range of services for the Drake radios from servicing and repair work to full refurbishing and restoration. 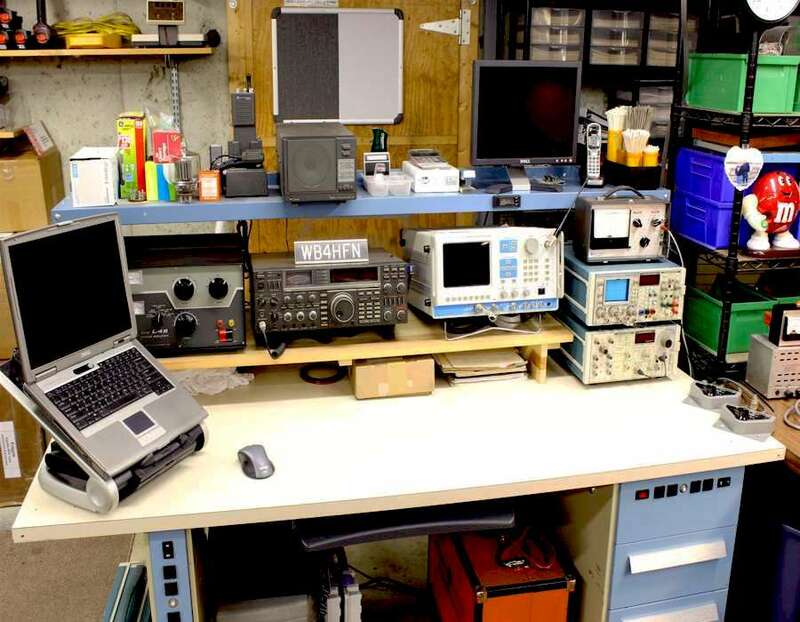 The includes most all the Drake Amateur Radio equipment.